Lloyd’s, one of Britain’s oldest institutions, is the world’s leading insurance and reinsurance market. It focuses on specialist markets, such as marine, energy and political risk, but also branches out into more unusual areas, such as insuring comedian Ken Dodd’s teeth. It’s always impossible to repeal laws that require Ann to pay for greedy people, because the greedy run out on the streets wailing that the Republicans are murdering them. Join the Worldwide Employee Benefits (WEB) network for our March luncheon for an in depth look behind the driving costs of Healthcare as we discuss Reference Based Reimbursement. This session will address why costs continue to rise each year and provide case studies of groups who have successfully beaten this trend. I am not the first to say this, but I am disappointed that given the opportunity to replace the “access” program represented by ACA/Obamacare with real reform, our friends in Washington have “punted” again! I guess the financial and other benefits provided by the American Hospital Association, American Medical Association and Blue Cross and Blue Shield Association ultimately outweigh doing the right thing. A Rio Grande Valley woman said she’s not going back to a dentist in Mexico. She claimed she wasn’t allowed to leave the office. What Can US Policymakers Learn About Essential Health Benefits From Israel? It may surprise readers to know that Israel has a system very much in line with many US policymakers’ goals of fostering a competitive private insurance market. The Israeli system rests on the concept of competing private health plans selling care in a market of empowered consumers. But one crucial difference is how Israel approaches the question of what it means to be covered. What Does Bernie & The Donald Have In Common? Learn how moving to self-insurance managed by a fully independent Third Party Administrator (TPA) linked to high value providers and services can reduce your total benefits spend by 20 to 40%. ObamaCare Is 60% Welfare – Lunch Alert! 12 Years Later…… Do Undisclosed, Secret, Back Door Agreements Still Exist? Do insurance agents, brokers and consultants still receive undisclosed compensation from the vendors they recommend? Like the old whore houses of the Wild West, patients at the Mayo Clinic may be directed to one of two waiting rooms. In the good ole days, upon entering the local cat house one was directed to one of two waiting rooms. The room on the left was for “second rate citizens” and the room to the right was saved for “1st class citizens” such as lawyers, doctors, and the wealthy. Under the leadership of the district’s risk manager, Mike De La Rosa, the Weslaco Independent School District has historically demonstrated an almost unequaled track record of “thinking outside the box” amongst Texas school districts. Things are moving at light speed for TPAs, with new technology, approaches to disrupting traditional use of PPOs, carriers seeing TPAs as sources of business, increasing interest in participant engagement and widespread investor interest. The game is over. Plan sponsors are becoming more educated. The secret ingredients of managed care contracts are now known to many. And they are mad as hell and not going to take it anymore. Acquisitive insurance brokerage AssuredPartners Inc. is making a significant move into California with the purchase of Keenan & Associates in a deal that will push AssuredPartners’ annual revenue over $800 million. With the acknowledgment that many benefits consultants drive decisions that are at odds with optimal health plan performance, benefits managers and brokers are increasingly advocating for consulting practice principles that align more directly with purchasers interests. “This groundbreaking innovation in medical price transparency will further disrupt the insurance company dominated status quo and give patients increased leverage in obtaining the best value for their health care dollar,” says MediBid CEO Ralph Weber. 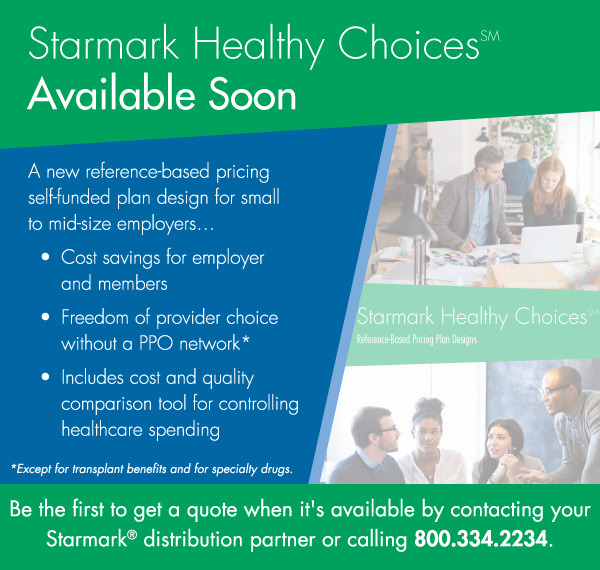 A New Reference Based Pricing Self-Funded Plan Design Available Soon! He founded the Wichita direct-care medical practice more than six years ago ……. He cited Allied National Inc. in Overland Park as an example of an insurance company whose profit margins have increased by incorporating the Atlas model…………. William Tecumseh Sherman, who laid waste to the South at the end of the Civil War, famously said, “War is Hell”. So, too, is health reform. A recent request from one of our clients to their record keeper was simple; What have we been paying, on average, for certain procedures? The response/s in a string of emails lays out a simple request into one of enormous complexity, seasoned with a good dose of Bull S–T. You may have asked yourself why health prices rise inexorably. Are escalator clauses, the automatic price increases common to many managed care contracts, the driving force behind trend factors? Attorney advises hospitals how to respond to Reference Based Pricing Plans…………..a revival of the Rope-A-Dope? The Coming Implosion of TRS ActiveCare? Currently, many benefits consultants drive decisions that are at odds with optimal health plan performance. Organizational purchasers, benefits managers and brokers are increasingly advocating for consulting practice principles that align more directly with purchasers interests. If passed, SB 789 would limit districts that may participate in TRS-ActiveCare to those with 1,000 or fewer employees. The bill would eliminate the traditional co-payment insurance plan option, leaving only one plan (high-deductible, no copays) Districts with fewer than 1,000 employees will be given a one-time opportunity to opt out of TRS-ActiveCare. Insurance agents, sensing an opportunity of a lifetime, are lining up to feed on the TRS ActiveCare scraps.